For a fall show, plant leadwort. Its gentian-blue late-season flowers often continue to bloom even as the foliage turns brilliant red-orange in fall, making an outstanding autumn display. 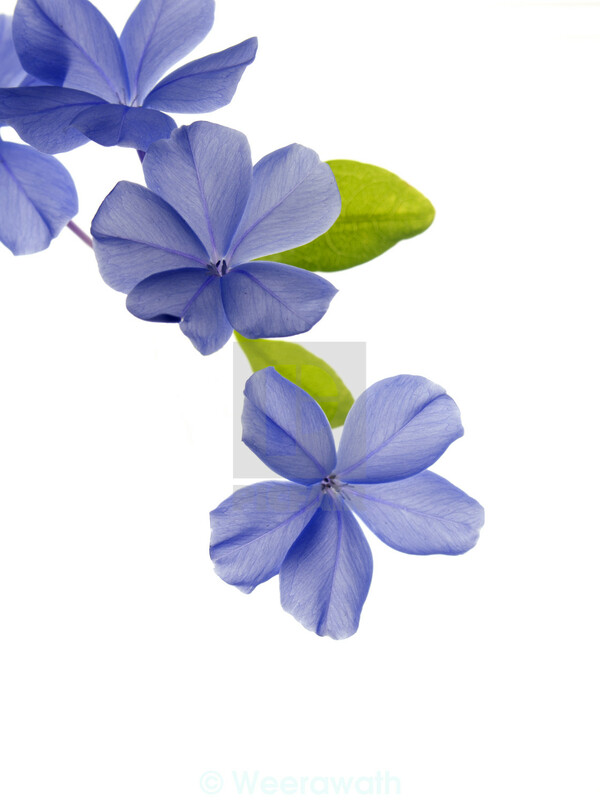 This plant is also sometimes called plumbago, but it's different from shrubby tropical plumbago. Use it as a groundcover that spreads well when in conditions it likes -- dry sites in full sun to partial shade. Cape leadwort on white (horizon close-up position). with back lighting technique create good looking texture effect of flower itself.